Based out of one of the fashions and luxury capitals of the world, Los Angeles-based Michael M is known for their handcrafted pieces with one-of-a-kind under-stone polishing and custom blends of alloy metals. Their milgrain detailing and meticulous attention to detail set them apart from other designer jewelry brands and designers on the market. Taking heavy influence from the European-style of sumptuous sophistication and elegance, these pieces are designed to appeal to today’s modern woman. The Euro-style shanks found on many of their pieces highlight their master metalwork and jewelry making expertise. 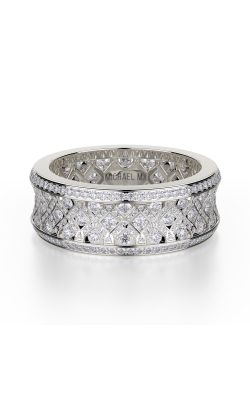 Another characteristic of Michael M and their alluring collections are the U-sets, which require master craftsmen and expert diamond-setters to set each diamond in a U-shaped carriage that holds the edges of the diamond, allowing the diamond to be viewable from every possible angle with maximum brilliance. Each piece and design is given a personalized serial number and Certificate of Authenticity to ensure that each Michael M piece is a genuine design by this lustrous designer. Using only the finest materials, from diamonds G in color and VS in clarity to using only reclaimed metals and state-of-the-art technology to re-alloy their bar and casting stock, Michael M designer fashion jewelry and bridal pieces are both refined works of art and responsibly sourced. For engagement rings, you can shop the brilliant and double halo set rings of the Loud collection, or the Princess collection with engagement rings designed to make your special someone feel like royalty. Michael M also presents the dainty and elegant M collection with side stone rings with diamond dancing along the band with refined metalwork. For dazzling three-stone rings, you can shop the Trinity collection for bands that will celebrate your storied past, symbolize your hopeful future, and commemorate the current moment. Michael M also presents striking engagement rings in their Strada collection and Stella collection, while encapsulating emerald center stones fit perfectly in some of their Bold collection pieces. Michael M also boasts men’s and women’s wedding bands in varying styles in designs with their signature fashion-forward designs and builds. Men’s bands are available in a number of designs with a number of different bridal design elements. From simple metal bands with enhanced with diamonds dotted around the band, to wedding bands with a hammered texture for a durable and sturdy look, their build and construction make for a comfortable wear with unmatched style. Women’s wedding bands are also available in matching collections to accompany the Michael M engagement rings, from the Europa to the Princess, and the Strada to the Stella, there is a women’s wedding band to seamlessly go along with your Michael M engagement ring. Michael M also offers both fashion and luxury jewelry, from fashion rings, to dazzling earrings, to elegant bracelets, and diamond studded necklaces. 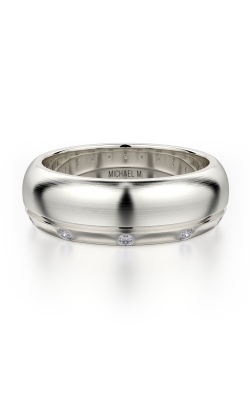 Why Shop for Michael M at Thom Duma Fine Jewelers? Thom Duma Fine Jewelers has a storied history, going back 115 years. 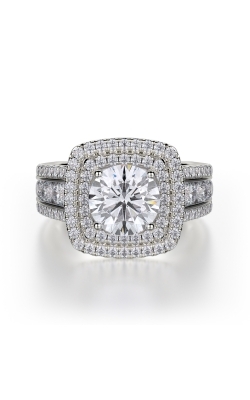 At Thom Duma Fine Jewelers, you will find a brilliant selection of Michael M bridal and fashion jewelry pieces both in-store and online. With a 100% satisfaction guarantee, we stand by every piece and designer we carry and offer our customers. We also offer 0% financing and also 3 to 5-year special financing plans to those who qualify. If you are making your purchase in the lower 48, we will ship your piece for free. We are happy to serve the Warren, Ohio area, and are excited to help you find the jewelry piece of your dream.